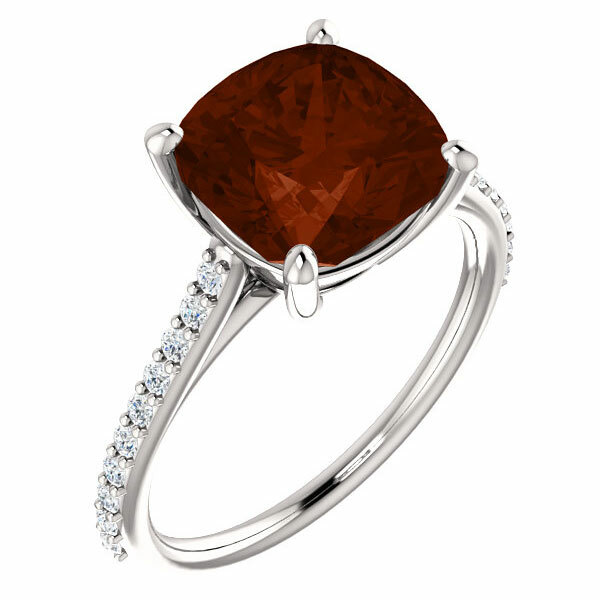 A truly beautiful and high-quality 9x9mm 3.25 carat cushion-cut garnet gemstone is featured as the centerpiece of this unique cocktail ring in 14k white gold, from Apples of Gold Jewelry (also available in yellow gold or 18k). 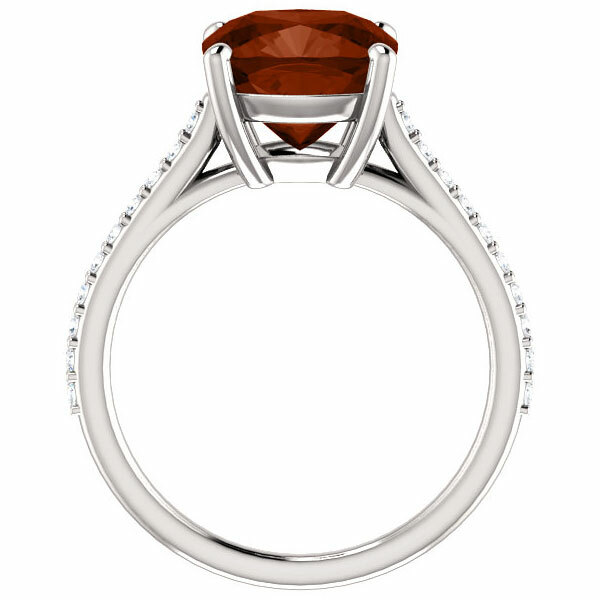 The garnet gemstone ring is adorned with 20 diamonds, weighing 0.20 carats in G-H Color, SI1 Clarity. This ring is made to order. Please allow approx. 7-10 business days before shipping. 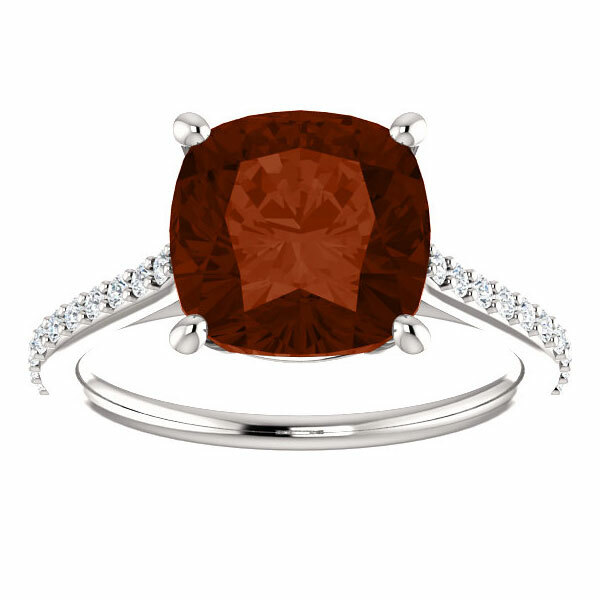 We guarantee our 3.25 Carat Cushion-Cut Garnet and Diamond Cocktail Ring to be high quality, authentic jewelry, as described above.